The times of austerity are over for BBC Local Radio, with the BBC's Director-General announcing more resources. After years of cuts, culminating in a shared England-wide evening programme replacing previous regional and local content on local radio, BBC Director-General Tony Hall confirmed that from next summer, the networked evening programme would end, enabling local stations to restore content. Efficiency savings made elsewhere at the BBC would shield local radio from any further cuts. The extra resources for local radio is not understood to include reprieves for stations about to lose their medium wave outlets. "Local radio is in the DNA of our communities. I think that is more important than ever. England’s changing. It’s always been a patchwork of communities, with quite distinct identities. While Newcastle’s population is getting older, Bradford’s is getting younger and Birmingham is becoming one of the most diverse cities in Europe. Decision-making is being devolved too - there are mayors in some of the big metropolitan areas and that’s having an impact. "I want to hear the sound of England as it changes. So while other media are becoming creatively less local, I want us to become even more so and to connect with our audiences in new ways. "For many years the BBC has been reducing its investment in local radio. The development of new technology and the growth of smartphones has seen many people getting their local news, weather and traffic information digitally. "But the rise of digital technology has also seen the rise of fake news, not just on a global level but on a local one as well. That’s why the role of BBC local radio is actually becoming more important - not less. "Local radio should be for everybody. It’s there to serve the Facebook generation every bit as much as the rest of us. "My ambition for BBC local radio is for it to have more creative freedom, to celebrate local life, to be the place where we report local news but also the place we reflect local identity, nurture local talent and engage local audiences through digital platforms. I want to see a renaissance in local radio." Ending cuts to local radio will mean the service will not be required to make £10m worth of savings. The BBC will instead rely on its broader efficiency savings to protect local radio budgets. The BBC will set out a full plan for the service, and how it will be funded, in 2018. 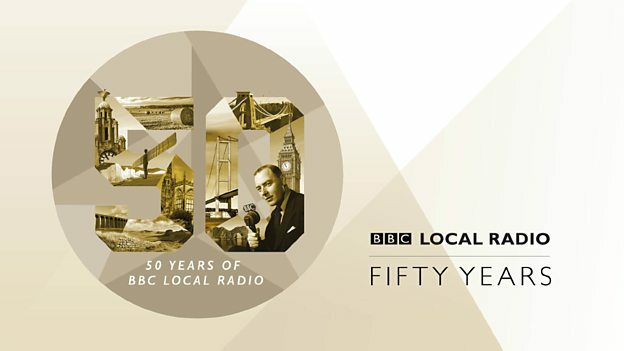 This renewed commitment to local radio will build on the £8m the BBC has already committed to spending each year to boost local news reporting. The BBC has launched a Local News Partnership to hold politicians and local officials to account and help support essential local reporting. As part of this, the BBC is funding 150 local democracy reporters who will be employed by local news providers to report on councils and other local authorities. These local democracy reporters will generate news stories that can be used by registered news outlets and the BBC. News suppliers are also being given access to BBC video and audio material as part of the BBC’s efforts to partner with other local news providers. The BBC is also making it easier for people to find online local stories which affect their area. From tonight, people in towns, cities and villages across England will have access to everything the BBC does locally, with one click, using their postcode.